In the past week, Sochi has come under fire for its stray dog program -- in preparation for the Olympic Games, the city has hired exterminators to sweep the streets, laying out poison or traps for the animals. Hundreds of animals have been killed already, and animal rights activists have called out the local authorities and President Vladimir Putin for the barbaric handling of the issue. But now, volunteers are coming to the rescue, setting up makeshift shelters and caring for the dogs. "We were told, ‘Either you take all the dogs from the Olympic Village or we will shoot them,' " Olga Melnikova, a rescue worker in Sochi, said to the New York Times. Melnikova is coordinating an effort by Good Will, which is financed by Oleg V. Deripaska, one of Russia's billionaire oligarchs. A "dog rescue" golf cart is now scouring the Olympic campus, picking up the animals and delivering them to the shelter, which is really an outdoor shantytown of doghouses on a hill on the outskirts of the city. It is being called PovoDog, a play on the Russian word povodok, which means leash. Lying past a cemetery, at the end of a dirt road and without electricity or running water, the makeshift PovoDog shelter is already giving refuge to about 80 animals, including about a dozen puppies. One is a chocolate-colored Shar-Pei and her two mostly Shar-Pei puppies. Another is a large, reddish-brown sheep dog named Kasthan, who likes to jump up and kiss the shelter workers, who are mostly volunteers. Animal advocates are calling for an end to the exterminations, saying that many of the animals were the former pets of families whose homes were demolished to make way for the Olympic venue. "We need a program of sterilization for dogs," Nadezhda Mayboroda, a Sochi resident who is working at the shelter, told the Times. "People are not really well educated that it is necessary to sterilize their dogs at home. Human beings are not responsible at all." Workers say they want visitors, tourists and journalists to adopt some of the dogs that need homes. Even athletes, they hope, could leave the Games with more than just a medal. View a gallery of Sochi dogs here. UPDATE: Lots of people are looking for ways to help end's Sochi's stray dog cull. The World Society for the Prevention of Animals (WSPA) has been campaigning to end inhumane animals culls in Sochi and elsewhere for years. Visit their site to learn more about humane solutions or to support their work. Humane Society International is telling people to send letters to President Putin asking President Putin to end the extermination, and you can also sign this petition for the cause. 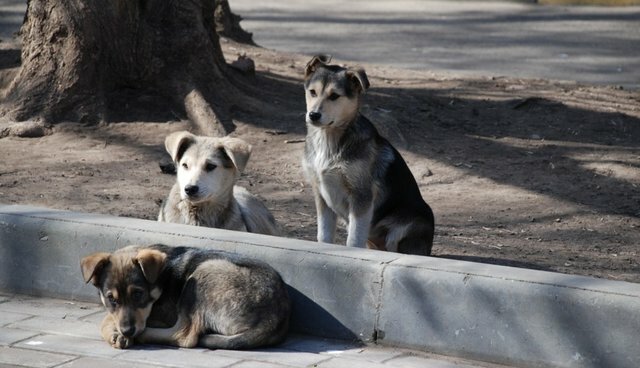 Another great way to voice your concern is to send an email to the City of Sochi, asking them to use measures like sterilization and trap-neuter-release programs to control the stray dog populations.